“Amazon is good for competition – it will drive innovation in the market, but I personally think there’s been so much hype around its arrival, it’s going to be difficult for Amazon to actually match that hype,” he told CMO. 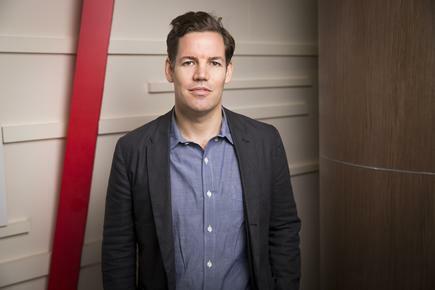 Appointed to the top Australian marketing job in January following Steve Brennan’s switch to chief of marketing at Uber, MacKinnon has worked at eBay since 2011, and was responsible for bringing new retailers onto the platform. “We now have 40,000 Australian retailers on board including 80 of the top 100 retailers,” he said. “In some ways, eBay’s selection is the best of Australian retail – we have them on board, whether big or small, as well as consumer sellers. Another major differentiator for eBay is that marketing is core to what the online marketplace offers, MacKinnon said. The marketing function incorporates a mix of global teams, agencies and people on the ground local, with about 50 people across all aspects of marketing, from paid search to affiliates, social, brand team, creative services team. 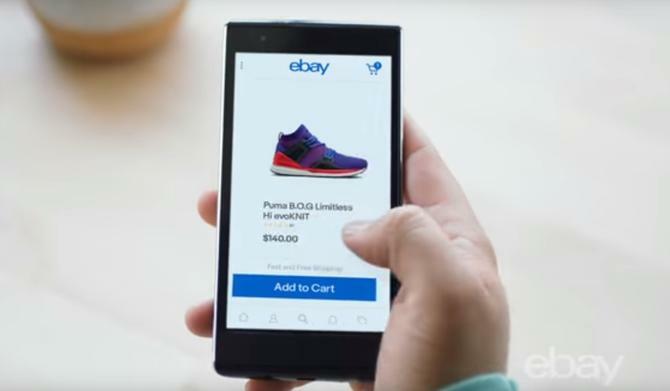 Today, eBay has more than 11 million visitors to the site every month, and helps businesses connect and reach those customers, including 170 million buyers overseas. “We also run marketing campaigns on their behalf, we run their promotions through the site, we do paid search for them, we do social affiliates – and give them access to technology, data and targeting that they wouldn’t necessarily have on their own,” MacKinnon said. One of MacKinnon’s current focuses is on eBay’s upcoming 18th Australian birthday. The online retail giant has rolled out a fresh ad campaign in collaboration with 72andSunny celebrating its diverse and individual range of offerings to local consumers. Launched on 3 September across television, cinema, out-of-home (OOH), display, digital and social channels, the new Fill Your Cart with Colour campaign brand campaign celebrates eBay’s colourful and dynamic community, who turn to the marketplace to express their individuality through the way they shop, MacKinnon said. “EBay has the best prices and anything you want – and we know a lot of Australians do that already – check eBay already to make sure you have the best deal, but we want to highlight that as part of Australian buying behaviour,” MacKinnon said. “Ultimately, we want to both help grow Australian businesses but our vision is also to be the online marketplace Australians shop first. So my role is to really get more people coming to the site. Technology is another string to the bow. Last year, eBay announced a world-first new VR shopping experience in partnership with Myer, which allowed Australian customers to browse more than 12,500 products using eBay’s new gaze recognition technology, Sight Search. According to MacKinnon, this innovation is just the beginning of a new and exciting wave of projects eBay has in store for boosting customer experience. “We’ve always been in the business of trying to predict and shape the future of commerce,” he said. “Whether it is voice, image recognition, VR, AR, people want to shop in a context that makes sense to them. And we need to be where the customer is and that’s one of the reasons people sell on eBay – because customers are there. But we also recognise consumers are continuing to shop in different contexts, whether it is FB, messenger or in-app. While this is MacKinnon’s first-ever CMO role, he said his time as a chief marketer has reaffirmed his fascination with the power of marketing and its ever-evolving nature. In the online retail space, every day is also challenging, which is also what makes it interesting, MacKinnon said.